Our menu reflects our philosophy, the importance of seasonality and our love of our territory, for this reason we change our menu regularly in order to offer our guests the best seasonal produce possible. Dishes change frequently and regularly for the simple reason that exceptional produce is not available all year round and often is only available in limited quantities. 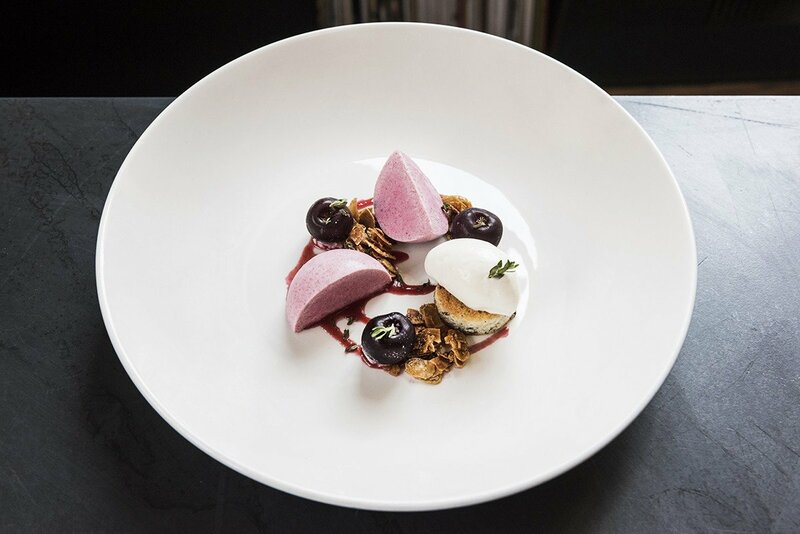 Just like our main menu, our dessert menu is creatively dictated by the seasons. Our desserts are based not only on traditional and better known ingredients but also on the use of vegetables where we exploit their natural sweetness. As an alternative to our a’ la carte menu at lunchtime we offer a business lunch option where you can choose between a single dish or a fixed 3 course menu. Our lunch offering (schiscèta) changes every day guaranteeing optimum freshness and ensuring that our guests are never bored by the same old thing. To stay up to date with our lunch offer checkout our Facebook or Instagram page. “Rubitt” in Milanese dialect means “small, precious things”. 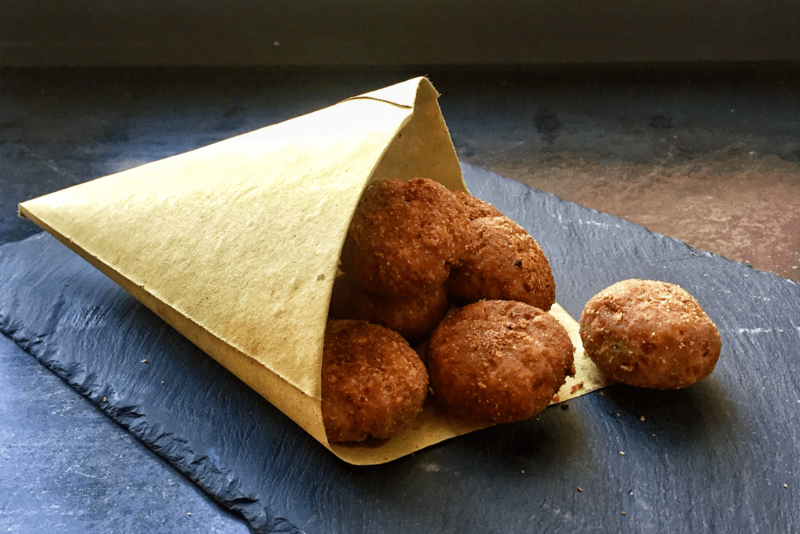 Our aperitivo consists of a series of small tastes which we specially prepare or which derive from our main menu to be accompanied with a selection of our wines and cocktails. The “Rubitt moment” starts at 6:30 pm and should be experienced as a pre-dinner drink and snack or a light dinner in its own right. 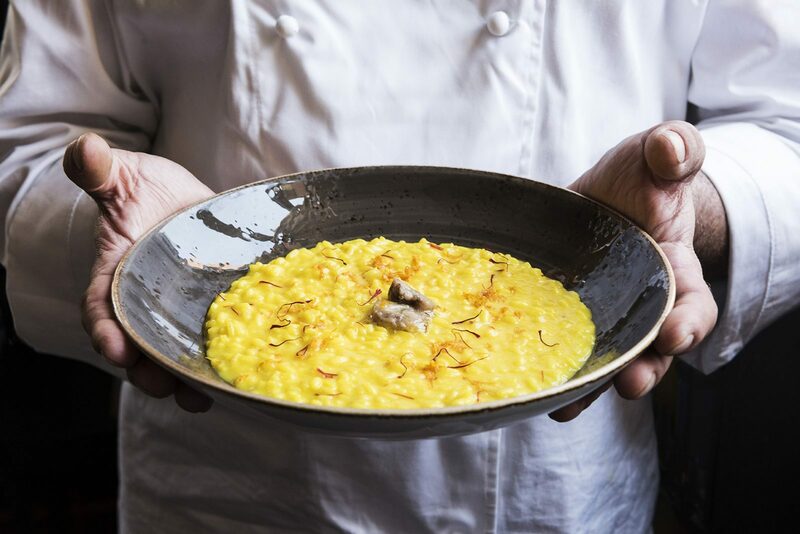 Guests often come to Ratanà to taste local Milanese cooking but we offer much more than just that. Our tasting menu represents a journey of the senses evoking exciting flavours, at times unusual, tastes and textures, often obtained through the use of newly learned cooking techniques. 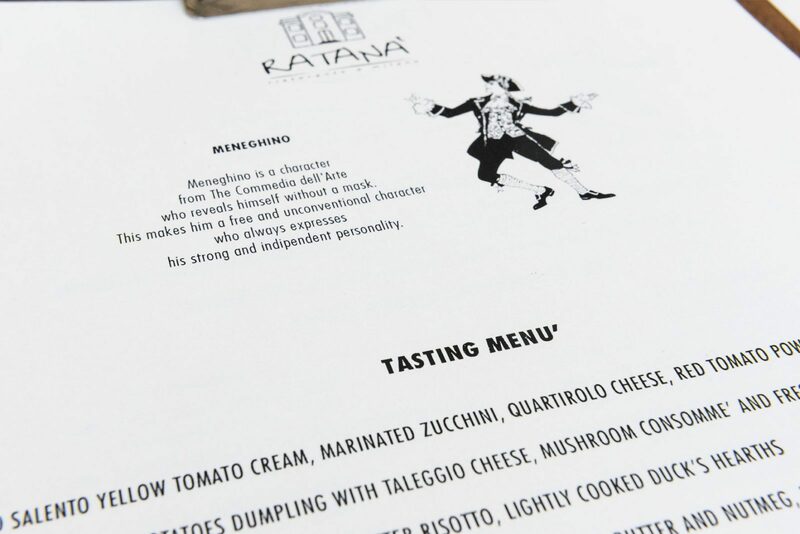 To choose our tasting menu is to put your trust in us. 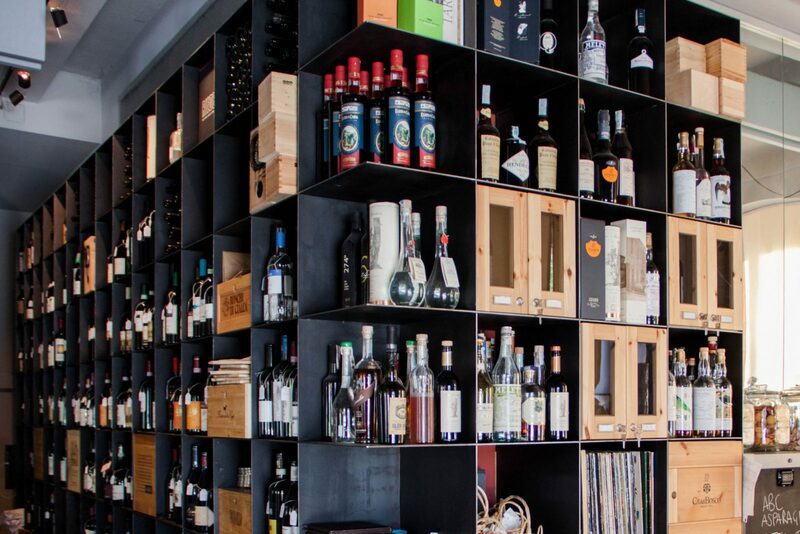 Our wine list is the fruit of many years of passionate reaserch into Europe’s many wine growing regions, a meticulous process of selection from which a magical rapport of trust with our producers has developed. The wines on our list come from small to medium sized producers who share a common bound with their territory and which is expressed in the wines they make. 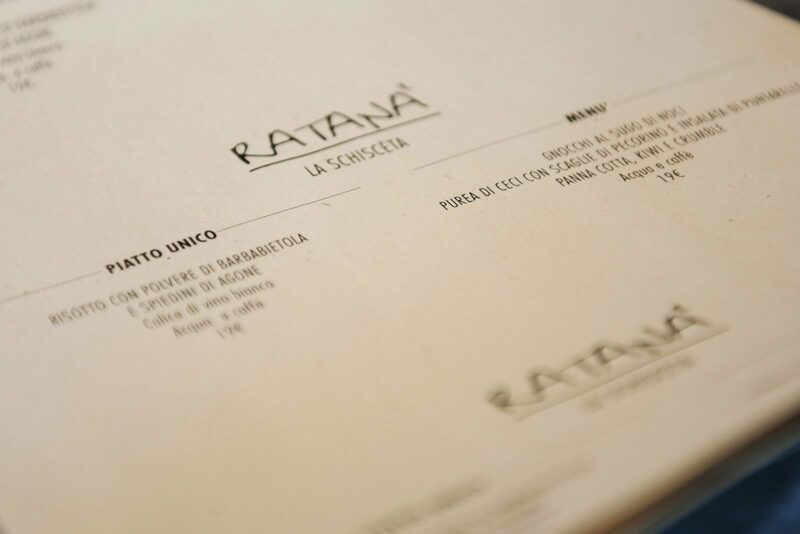 When we open a wine at Ratanà, or if you choose to take it home, we hope to take you on a journey throughout Europe’s wine growing regions. The more than 600 bottles on our list will stimulate your curiosity.